Most of us City Girl Savings members are millennials. We fall in the current 18-34 category, being born in the early 1980s through early 2000s. We may also be referred to as Generation Y. The CGS Team has previously reported on some interesting findings regarding Millennials and money. Check out the article Millennials and Money to see what most millennials think about spending and finances. In the meantime, we are sharing some of the best cities for millennials to live. These 5 cities promote the best job growth for millennials, have the highest number of millennials, and a decent cost of living. The great city of Seattle has been known for its delicious food (at reasonable prices) and steady job growth in the tech industry. As of 2015, the city had a millennial population of 24.1% and is still growing. Seattle has beautiful waterfront views, a multiple sky-scraper downtown area, and a pretty high median income of $67,000. This is higher than the overall $50,000 average and it helps cover the costs of living. In addition, Moody’s projection of job growth for Seattle is 10.7% through 2019. The “live music capital” of the United States is good ‘ol Austin Texas. 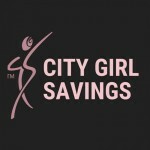 Can we just add that City Girl Savings is headquartered in Austin! Austin is ranked number one on Money Magazine’s best places for millennials to live in 2015. The cost of living in Austin is considerably less than Dallas or Houston, and boasts a millennial population of 26.2%! The city and its outskirts are growing rapidly, with an average of 120 people a day coming to Austin. There is no shortage of entertainment thanks to the city’s “happening” downtown area, including the famous 6th street. Job growth is a high at 13.3% through 2019! According to Moody’s, Atlanta has one of the highest projected job growth rates at a whopping 14.9%, thanks in large part to Delta Airlines and top health care providers. As of 2015, the millennial population was about 26%, with a wide variety of fun and activities available. A large zoo, the world’s largest aquarium, multiple museums, and numerous bars and lounges make Atlanta an ideal location for just about everyone, including millennials. As of late, Portland has been comparable to Austin, Texas! Promoting creativity, Portland has adopted Austin’s “Keep Austin Weird” tagline and made it their own. “Keep Portland Weird” is a movement designed to help people flaunt their individuality and refuse to conform. Portland is also known for delicious and affordable food, thanks to food trucks. Portland has its own NBA team and is only a 2 ½ hour drive to Seattle. Beautiful mountain terrains make Denver an ideal location for the nature lover. In addition to the mountainous views, Denver contains vivid landscapes and provides snow activities in the winter time. Thanks the city’s residents love of food, there is no shortage of good eats! Foodies from around Colorado make their way to Denver to divulge in delicious cuisine. Denver is also known for its bustling entertainment. They host their own NBA team and promote snow sports and activities for the adrenaline junkie. If you aren’t afraid to up and move to a new place, consider one of the 5 cities listed above. You are only young once, so don’t skip out on great opportunities to experience new places. Make sure you have a job lined up first (which shouldn’t be a problem)! Do you currently live in or around these cities? Have you visited any of the cities listed above? Share your experiences with us by leaving a comment below! Great article!! I’m determined to branch out away from Mississippi!! I live in Austin and the job opportunities out here are awesome! The cost of living isn’t bad (compared to LA where I used to live) and the weather is nice! I’ve visited Portland, Seattle, and Atlanta, but need to make it to Denver! I would love to get connected to any job opportunities in marketing/advertisement in Colorado or Austin. Any suggestions? 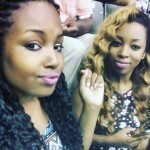 I am looking to make the move from Chicago IL. Hi Sher! Marketing/Advertising would be great to get into in Austin. There are so many startups that need those types of services! Hey Washington Ladies! @samanthaminson @kmalella1 @shariehyder @des6786 We have Seattle listed as one of the top 5 U.S. cities for millennials, do you agree? What do you enjoy most about Seattle? OR Ladies, Happy Friday! @chintana541 @adeuel @ashleyahawkins92 We named Portland one of the top 5 U.S. cities for millennials because of its yummy food and promotion of individuality. Do you agree? Happy Friday Denver ladies! @bwleung @shawneeds1 @juliehowsmon @eoneill0802 @melrhart @jessicadicroce We have Denver listed as one of the top 5 U.S. cities for millennials because of its food and entertainment…do you agree? What are your favorite aspects of Denver? YES! 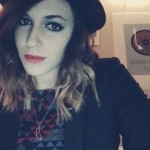 @michellefiller92 What an optimistic, adventurous go-getter! Great things will come your way and we love that you aren’t afraid to make moves! San Francisco may just be a hit for you! In fact, our founder @raya90288 went to San Francisco for work and met up (for the first time) with SF member @lourdesyramos She has nothing but great things to say about SF, she may be a good connect for you! I live in Denver – it is a great place for singles and young professionals! @Emily-hosoya I have never been to Denver but I really want to go! I’ve made it to the airport a few times, but I need to make it a point to get out there and explore! The timing of this post!!! Fantastic article. I am literally in the midst of creating a budget for a move as I have fallen out of love with NY and need to put some distance between us. I’ve been to Austin many times and would love to make the transition. Wish me luck. What a great list! I work for Keller Williams, and am considering a move to Austin, TX where the company is headquartered. It would be a huge move from my home state of North Dakota, but seeing Austin on this list helps me feel more assured that a young, single, female professional can be successful in a new city! Austin gals, what are your tips and tricks for coming to the city as a newbie? @aogilvie @bdimke Ladies! It’s so great to hear that you may be moving to Austin! Quite a few of our members are Austinites! @raya90288 @fabs1285 @kaitlynalbright @Emily-zipp @brandelyn1 to name a few! Austin ladies, any great Austin tips you can share with potential movers?! How awesome that you may be coming to Austin @bdimke and @aogilvie 🙂 I was born and raised in Austin..I moved to LA for 7 years after high school and came back to Austin. The cost of living is low, the weather isn’t bad, and there are so many activities! Sxsw and ACL are huge out here and a lot of big names are making their way to this city. I’m happy to share anything you want to know! Austin has a fun downtown area, 6th street specifically for those looking for a good night on the town. Also, if you are into outdoor activities, Town Lake and Zilker Park are awesome! Plus, San Antonio, Houston and Dallas are less than 3 hour drives if you want to explore! Austin has a lot of different neighborhoods – I have known a few people that have moved here and rented for a bit while they decided which area they really wanted to settle in. One thing that helped when I moved was getting involved in different groups (professional associations, sports teams, meetup groups, alumni groups) to make friends and career connections. If you like something, there is probably already a group here for it. Austin is a wonderful place to live, the people are friendly and the job market is good – I am glad I ended up here. This article definitely helped me as I am expanding my job search to out of state opportunities as well now. This girl may be saying, Goodbye Phoenix, hello……. From Denver, currently living in Hood River, OR (about an hour east of Portland). Denver is where my extreme sports endeavors took off, Portland is where my professional and creative endeavors took off! I couldn’t emphasize enough the warmth of the people in these two locations and the excellent proximity to skiing, rock climbing, mountain biking, and fishing. If you’re a creative, PDX or DEN should be high on your list. @admin haha thank you so much! 🙂 I’m certainly trying to be! That would be fantastic!! 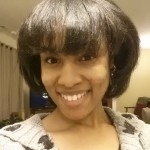 I would love to connect with her – thanks so much for the “introduction!” I’ll shoot her a message and say hello – it would be nice to know SOMEONE since I will be moving sight unseen and know pretty much no one haha. Gals, also consider Philadelphia! I moved here from Phoenix last summer and am having a fantastic time. The food is amazing and rent is relatively affordable (not as cheap as Phoenix, but still). I have always dreamed of living in Seattle, but my family is here and Philly is really coming into its own right now. Hey Ladies! @thea-zetterholm @whoolieta @dab10 @Mariale91 @aslaughter @ErinHeater25 Have you seen the popular post “Top 5 U.S. Cities for Millennials”? Check it out to see if your city made the list, or if a move is in your future! Leave a comment to share your thoughts! Hi! I’m not at all surprised to see any of these cities on here. I had been thinking of relocating to Austin, but was unsure because of the huge climate change. I’m from Maine. Also, the fear of starting somewhere where I don’t know anyone at all freaks me out. I have been considering Minneapolis actually because I’ve seen it appear on several websites as a place to go, plus I like the Vikings 🙂 . Any thoughts and suggestions are welcome as I’m finishing up school and wanting a fresh start! Hi Kristen! Never let fear stop you from experiencing new things! In fact, City Girl Savings is operated in Austin and we have quite a few members in the Austin area, so if you join our community, you will know a few people! 🙂 How is the climate in Maine? It does get hot here in Austin, but probably not as cold as Maine! Kristen, I would HIGHLY suggest Minneapolis and was actually a little surprised not to see it on this list (because you’re right – it makes just about every list!). I lived there for 6 years and am crossing my fingers to move back this or next summer after a brief hiatus in Madison, WI! The cost of living is very low, there are countless jobs (in my field – Environmental, and my sister’s – Marketing, anyway), and the weather really isn’t as bad as everyone thinks. The Twin Cities are so green and everyone is super friendly, there is a TON to do, and the Vikings are a major plus! 🙂 I’d suggest applying for jobs wherever you’re interested in going and see what the best offer is! Good luck! Thanks for this list! I live in New York. I work for a start-up that creates frozen meals for kids. I’m Office Coordinator and Marketing Assistant. I schedule the social media calendar and assist in blogger campaigns. I’m looking to explore a new city. I’m loving this website. Hi Kimbra! @kimbra-essex We’re so happy to hear that you are loving the CGS website! Welcome to the community! What a wonderful job you have out there in NYC! We have quite a few members in that area. Where are you from originally? Thanks! I am originally from Indiana. I have been using a budget for a few months now and was actually looking to get connected in some way. This came right on time! These stats must be very off. While there is a large millennial population here in Seattle, job growth does not meet demand and most millennials are making less than $50K and are struggling to make ends meet with the inflated cost of living. Reasonable food prices?…. That’s a joke right? You pay much more for far less quality here. I paid $20 for a grilled cheese and cup of soup off a food truck the other day because I forgot my lunch. Renting cost are astronomical and force most 20 or 30 something millennials way out of the city just to find a reasonably priced apartment in a safe area. Personally speaking I currently only make $40K with a degree and 5 years of experience in my field. This was the best job I could get after applying to over 600 jobs over various companies, some of whom were big names like Starbucks, Amazon, Expedia, and Microsoft. My fiance, who has a Masters and 10 years of experience didn’t fair much better at just under 70K. And with a 6 figure income we still struggle to pay bills… It is ridiculous!